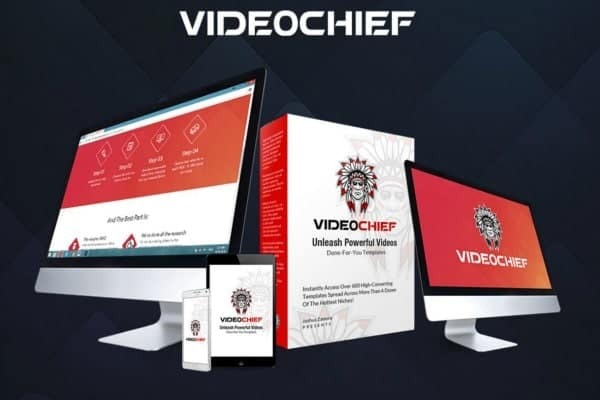 Video Chief Review: Can You Make $1000 By Flipping Videos? Hey, Ya Internet Marketing Fanatics! Flip the video and make bank. On top of these outrageous claims, he says that you don’t need any video marketing experience to make this work and that you don’t even have to worry about any money into the video creation process; with Video Chief, you’ll be able to select from a video library that’s apparently worth a whopping $35,000! Damn, tens of thousands of dollars just for a video library?! Let’s see if Joshua Zamora’s video marketing product is good enough to go along with his outrageous sales claims. Oh, and I forgot to tell you one thing… I write these reviews to educate you on the sea of internet marketing fluff that’s out there on the ol’ interwebz. I do this because I know what it’s like to be a newbie (plus I get paid to write these reviews, duh). I know what it’s like to be surrounded with a bunch of new courses and training guides, leaving you with a solid case of analysis paralysis; which product should you purchase, where should you start, etc. I write these reviews so that you’re not left wasting any of your precious money or time on crappy products that are too expensive and don’t provide enough high-quality training material. Joshua Zamora’s video library is unfortunately just a bunch of generalized videos with a cheesy, inauthentic spokesperson spitting a few words about a particular product or service. I can’t see how this video library is worth more than $35,000 like Joshua claims in his video. It does contain videos in profitable niches, which is a plus, but it’s ultimately a lackluster and unreliable way to make money online. 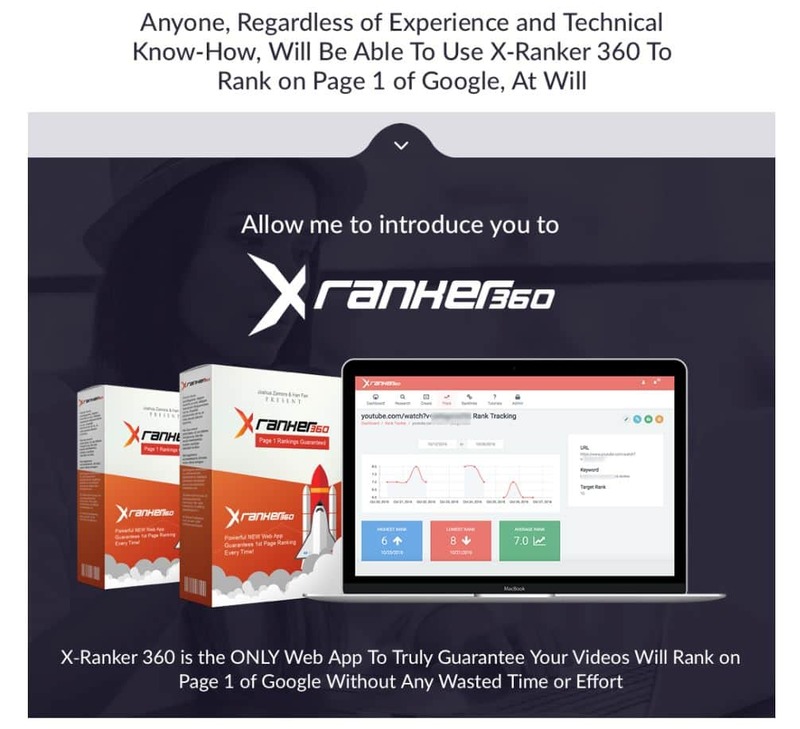 There was only two upsells on offer after the purchase of Joshua Zamora’s video marketing product. 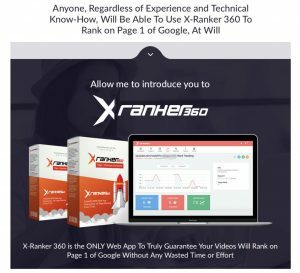 These upsells included a video editing software and a product called “X-Ranker 360” which apparently will help you rank your videos on page 1 of Google at will. 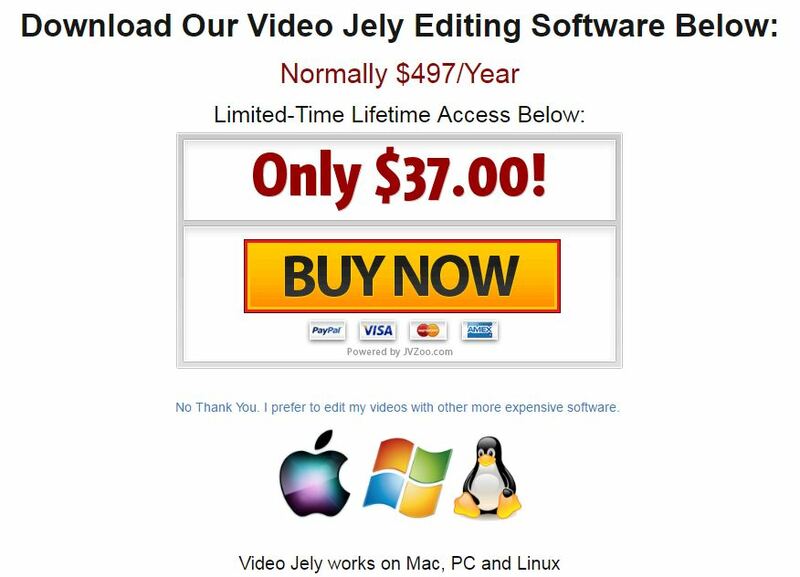 After skipping the upsells, I was taken to the Video Chief membership site that looks a lil’ something like this. The first point that I’d like to make about Video Chief is the reliability of the niches that the videos are based around. There are a few niches in business that are almost guaranteed to be profitable simply for the fact that they’re so common and they’re in areas that a person would happily part ways with their money to get the end desired result. Fortunately, Joshua Zamora did one thing correctly and made sure that the niches that the videos are based around are profitable and evergreen-type niches. In these niches, they’ve created a bunch of videos centered around specific products/services that would be offered. For example, In the “Business Services” niche, they’ve created videos for a cleaning service and an accounting service. 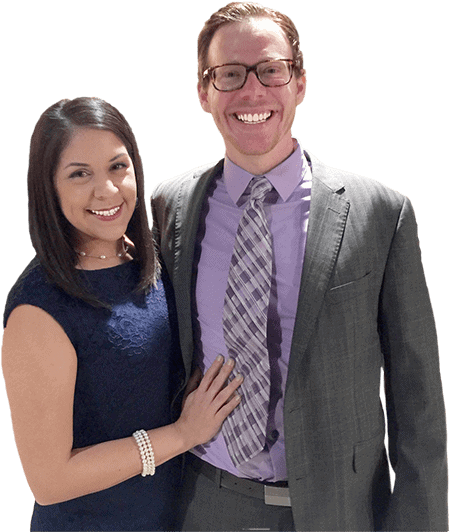 Here’s another example where Joshua has included videos for a dermatologist and a health and nutrition coach in the “Health and Wellness” niche. Every one of the videos offered in the video library is essentially the same thing. The video contains a short video (roughly 30-45 seconds long) with an attractive spokesperson spitting some jargon about the product/service on offer. There’s no customization to the service at all, and it essentially makes every single video exactly the same. For example, here’s a screenshot of the video on in relation to Architectural services. Essentially it’s just an attractive female talking about how you should purchase your Architectural service. Moving onto the next example, we find the same girl spitting the same type of jargon, except for a massage therapy service. And the last example I’ll use is the same girl talking about how your animal training service is affordable, reliable, and every other generic claim under-the-sun that you would’ve heard before. How Can You Expect To Make Thousands Of Dollars Selling Cheap Video Content? 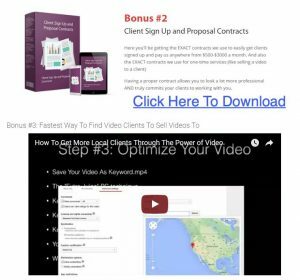 Joshua Zamora has included a guide and a couple of hour-long webinars on how to find clients; some of the material is pretty generalized and not necessarily in relation to flipping videos like the sales page says so. Now this is the part of the process that I’m having trouble with understanding: how can you expect to make thousands of dollars flipping videos like these when you can literally find the exact same quality of material on Fiverr.com for just five buckaroos? A quick search on Fiverr brought up results like these. These spokespersons are selling the exact same thing for a much cheaper cost than Video Chief, and they’ll probably be able to include your own brand name too; something that Video Chief doesn’t offer. And that’s it for my Video Chief Review! The sales claims are misaligned as heck; I can’t see you making thousands of dollars flipping these videos like the sales page says so. Ultimately, it’s not a product that’s going to help you make a ton of money online, and so it’s not worthy of my recommendation. Your time and money are better invested elsewhere! Comment Below If You’d Like To Know More! If you have any questions for me in relation to Video Chief or any of the other products I’ve reviewed, just comment below! A member here from Stopping Scams will do our best to answer your questions. Remember, we’re here to help you as you are on your journey of becoming a filthy-rich internet marketer. Video Titan Review: Is It Worth Your Money And Time? Evergreen Income Machines Review: To Buy, Or Not To Buy? 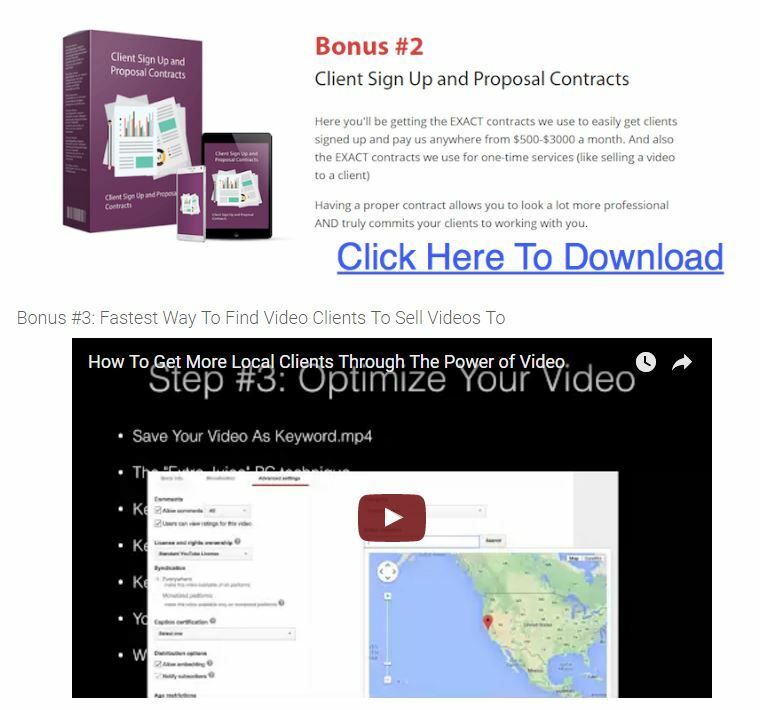 I agree that you probably won’t make much flipping these videos but you can be creative and use the videos to generate leads for an affiliate offer or even sell them. 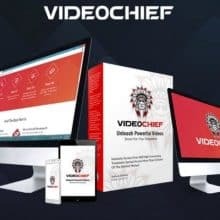 Several ways to make money with Video Chief if you use your imagination.